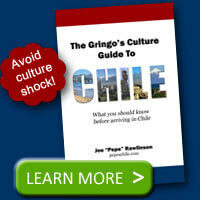 Home / Culture / How much do things cost in Chile? 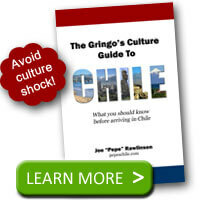 For those traveling to Chile, it is one thing to know the exchange rate of the Chilean peso and another to know what you can actually buy for that same amount of money. Step 1: Find out how much your currency is worth in Chilean Pesos with the peso currency converter. Step 2: See how much you can buy with your pesos. If you want to see how much more expensive items cost, visit Chilean retailer Falabella and browse around looking at prices. An iPod Shuffle, for example, will cost you $35000 Chilean pesos or roughly $75 USD at today’s currency rates. Hi, I’m Erin. I’m a grade seven student in a northern community. We are doing a research project on a city and I picked Santiago. Your site really helped. I have gotten most of my useful information from it. This ‘grocery list’ was the most helpful. I have been looking for something like this for a couple days. Thank you. But I do have a question if you could answer it, What are some things to do after work? @Erin – Of course it depends on the individual but evening activities could include: spending time with family, having a late dinner, dancing at a disco or going to a shopping mall. Thank you but I am looking for a specific good restaurant or a specific shopping mall. What is a good disco place? And I was also wondering what are the major cities around Santiago? Thank you for taking time to answer my questions. It’s greatly appreciated. @Erin – Great restaurants “Donde la Cuca” for Chilean Asado and “Donde el Guaton” for classic Chilean sandwiches. There are malls all over Santiago. To recommend one would depend on your location. Plaza Oeste and Plaza Vespucio are two older malls in Santiago. Here’s a list of Chile’s major cities. Viña del Mar/Valparaiso would be the closest to Santiago. Thank you very much!! That helped a lot!!! If I have any more questions I’ll ask you. You were very helpful!! how do you make pastel de choclo? if u do how much does the ingrediants cost? http://eatingchile.blogspot.com/2010/07/pastel-de-choclo-corn-pie-mystery.html – this one also has some interesting history about the dish.